Hello, happy Monday and happy October! Wow, September flew by for sure!! We're enjoying lots of pretty colors here in New England right now which I love! I have 2 quick CAS cards to share with you today. 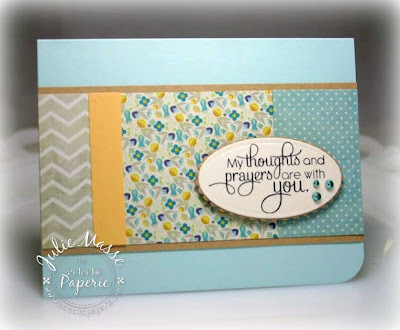 I love looking at cards with lots of layers and lots of beautiful embellies but sometimes it's just great to be able to whip out a card quickly - time is limited when you have lots of little ones! ;) I pulled out Comforting Florals from Market Street Stamps again - this truly is such a great set you will reach for again and again! 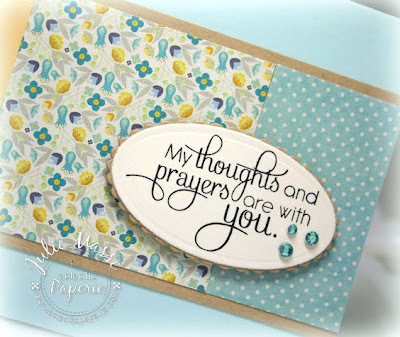 I worked with just sentiments today and used the FTL#210 from Clean and Simple Stamping. 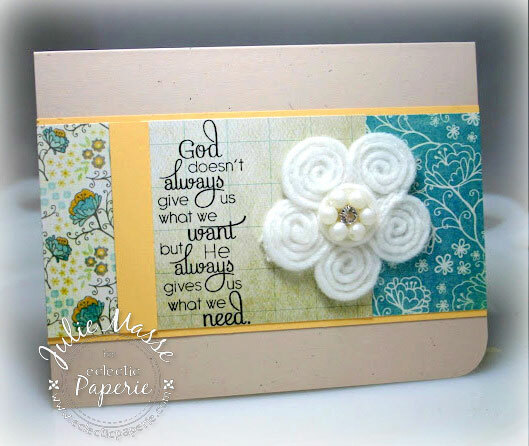 As you will see the cards are very similar, but I felt I just had to use that big gorgeous Vintage Pearl Center Flower, it added such a nice touch! Here's the second one, very similar, but with different papers and embellies. I just love the colors! And the close-up, I added a few of my favorite little Kaiser rhinestones to add some sparkle! Thanks for visiting us today! All the products used are linked up below for your convenience. Have a great day! 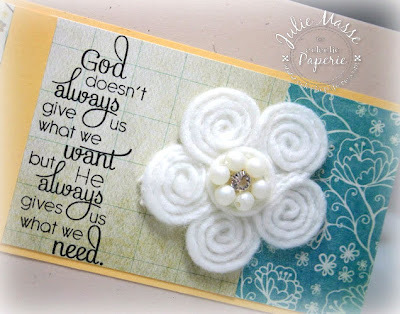 So beautiful, love the sentiments ! Julie...your cards are just wonderful, as always. Love the first one, especially the sentiment displayed so lovingly.